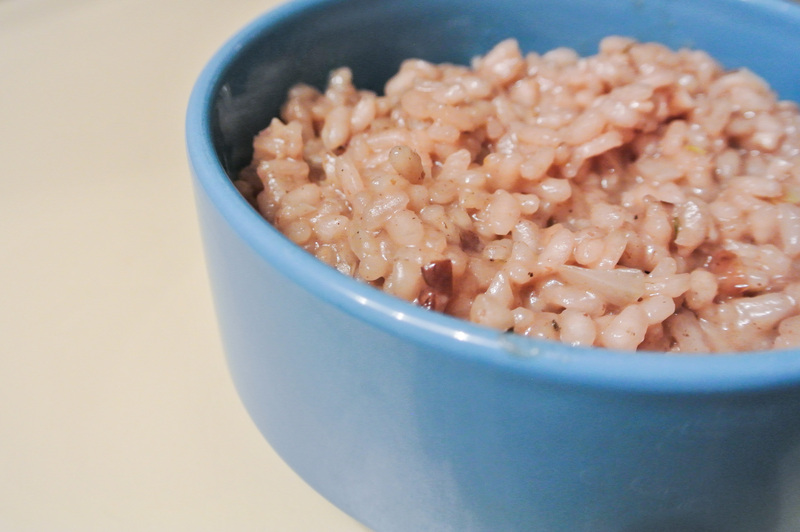 If you’re like me, at some point, you may have thought or assumed that risotto contained milk, cheese, or some other form of dairy to give it its creamy consistency. 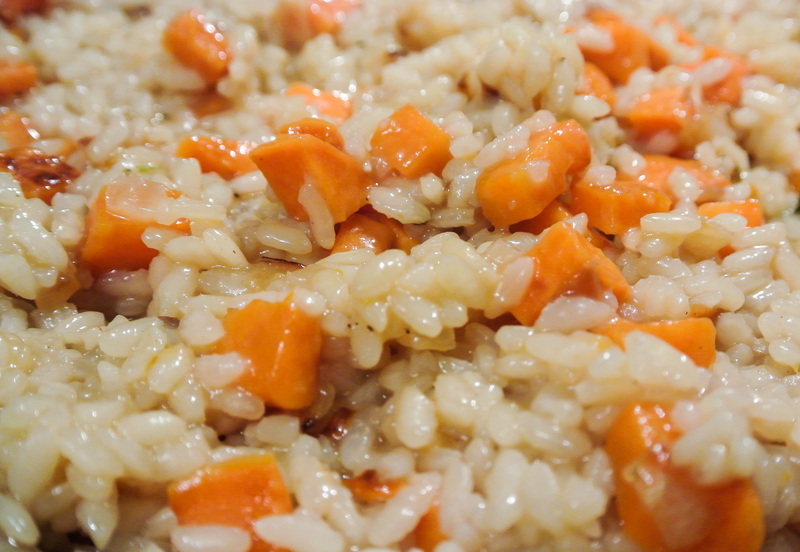 While some cooks add dairy to make risotto extra creamy, it is a naturally plant-based and wonderfully decadent dish. 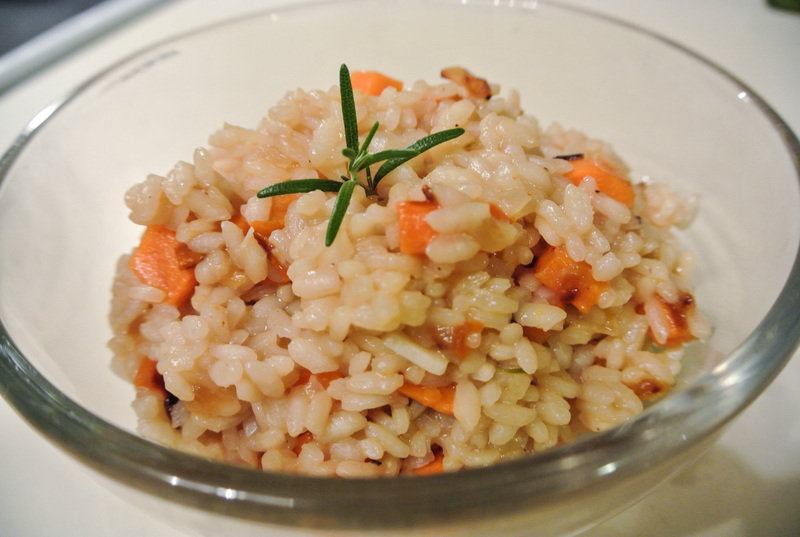 I use risotto as an opportunity to fulfill a craving for comfort food and to eat vegetables that must be cooked to be palatable, such as sweet potatoes. When Travis and I whip up a batch, it almost always contains some form of potato or other root vegetable, allowing us to eat the majority of our other vegetables raw. 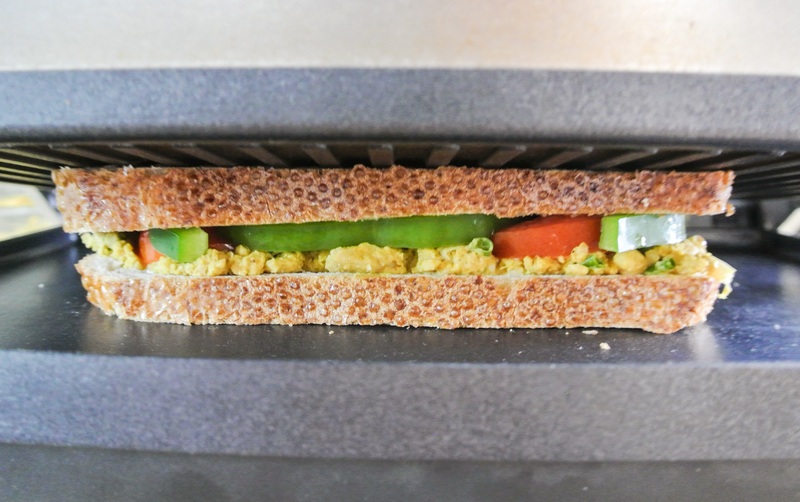 If you’re not in the mood for veggies (hopefully because you’ve been chowing them all day! 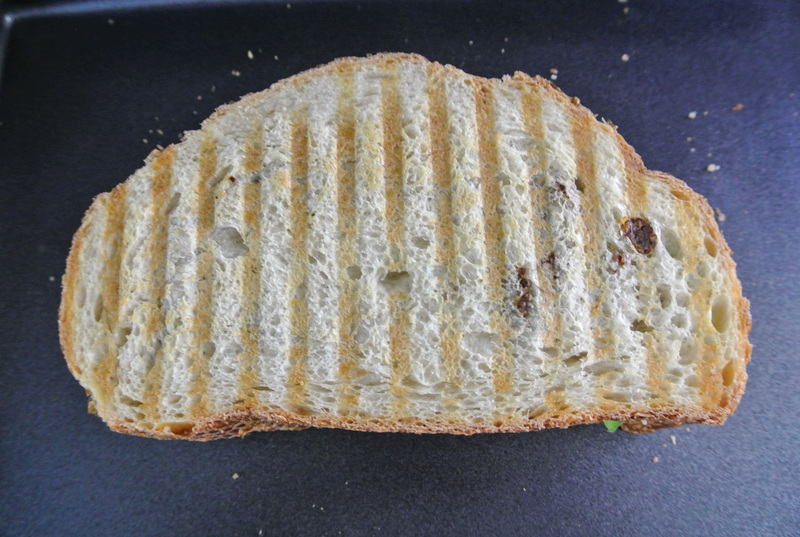 ), just make it plain, seasoned to taste. 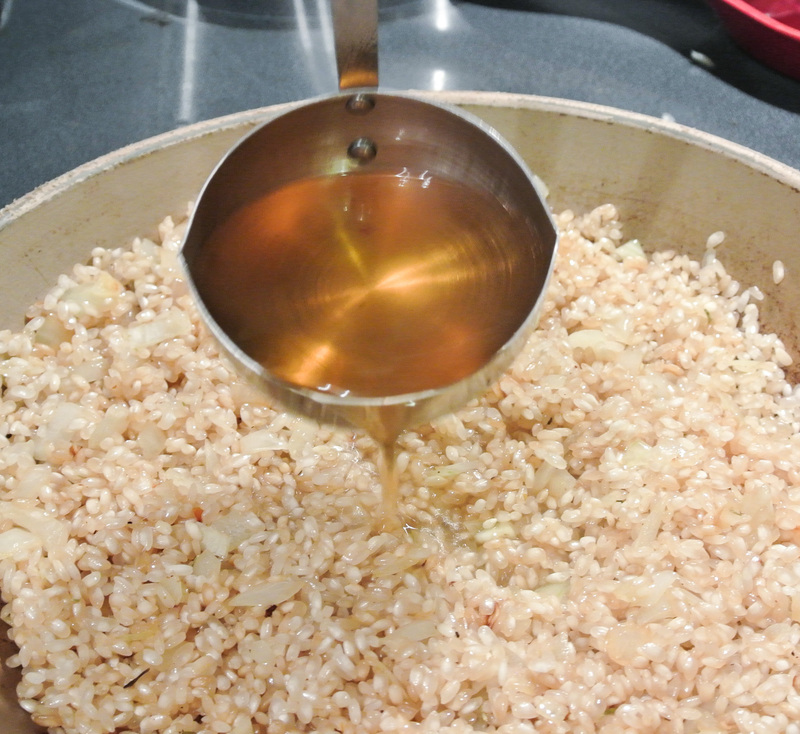 Since it doesn’t, in fact, contain dairy, you should know that risotto achieves its creamy consistency through a slow and steady cooking process that involves an abundance of liquid and regular stirring. Risotto is NOT a last-minute go-to dish, nor is it for light snacking; this, is a square meal that will fill you up before you get to the bottom of your bowl. 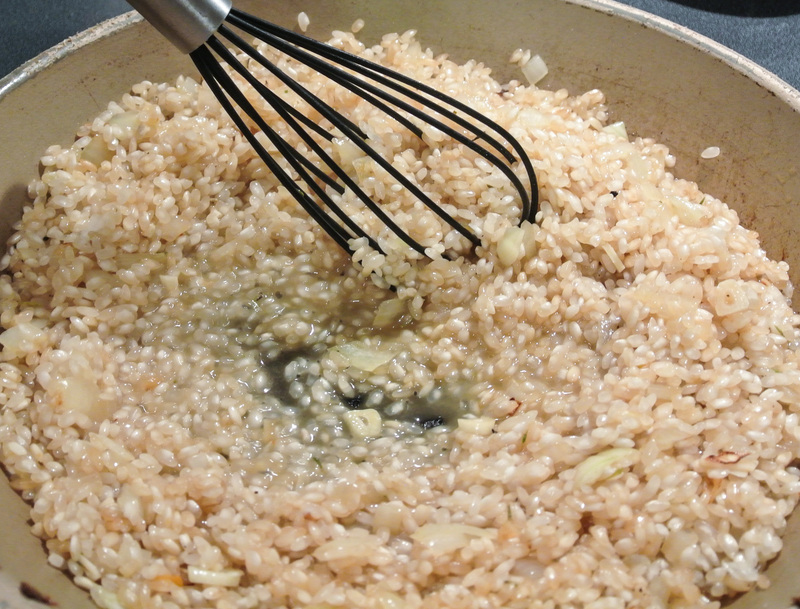 Risotto is prepared with an Italian short-grain rice called Arborio. 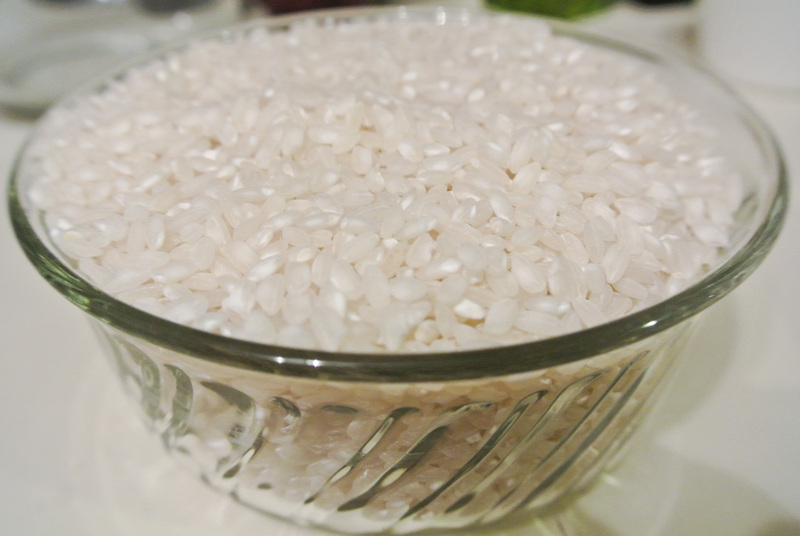 Arborio rice is high in protein, packed with vitamins and minerals, easy to digest, and can even help to fend off disease and maintain regular bodily functions. 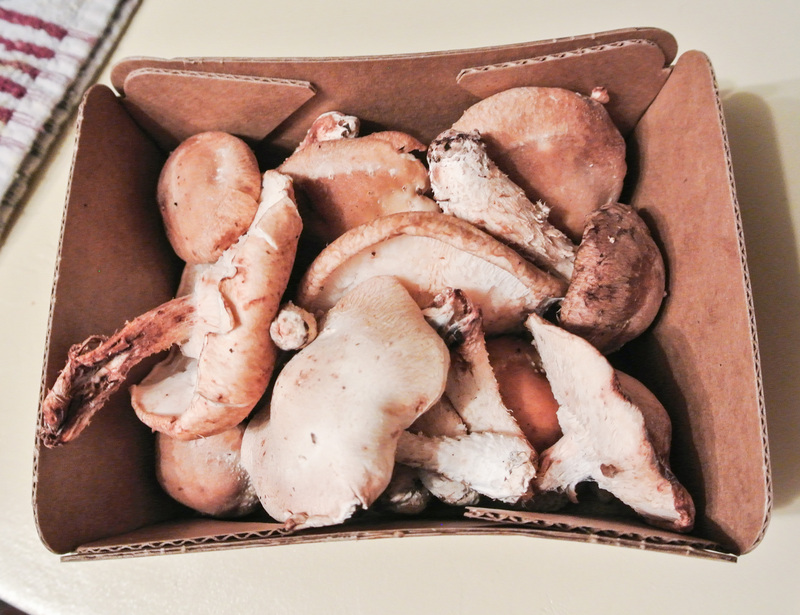 Plus, when slowly simmered in white wine, vegetable stock, sweet onions, and fresh herbs, it is simply delicious! While you can certainly prepare this Italian must-have as a side dish, I put down a whole bowl as my dinner. Enjoy! 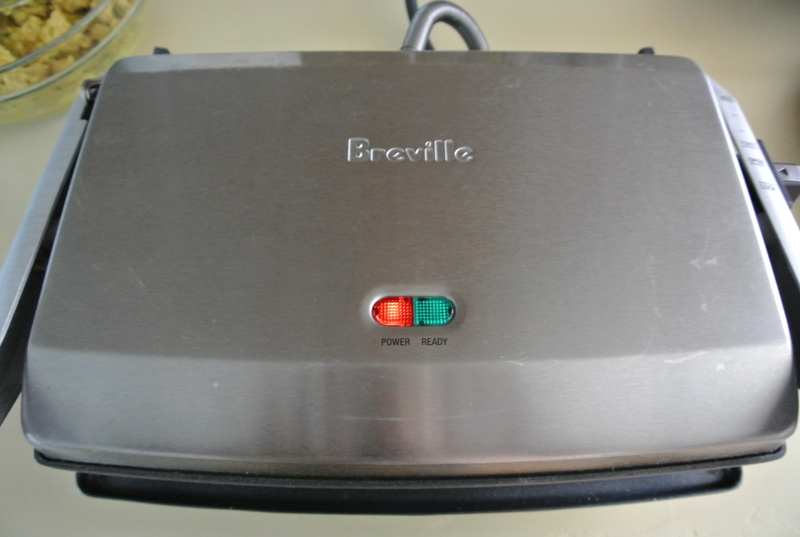 1 cup chopped vegetables (optional) –> I’m using one medium peeled garnet yam. ½ cup white wine –> I’m using Riesling. 1 small onion –> I’m using yellow. Several cloves garlic (go with what you like) –> I’m using three large. 2 tbsps oil –> I’m using refined coconut. Fresh herbs, spices, salt, and pepper to taste –> I’m using a sprig of fresh rosemary (which I will remove after cooking) and a pinch each pink Himalayan sea salt and fresh cracked pepper. New Formula: Super Creamy Dressing, Hold the Cream! A few nights ago, my sister sent me a recipe for spiced chickpeas that she said I just had to try, and she was right. If you’ve never heard of Thug Kitchen, you NEED to check out these uber-talented and funny vegan chefs! What the thugs figured out that I couldn’t put my finger on until I completed their recipe (sorry guys, it’s not on their website, but it is in their cookbook, which I am now ordering ASAP) is that seed and nut butters make for the ultimate rich and creamy dressing for salads, wraps, sandwiches, and fruit and veggie dipping. Really, this has made sense for longer than I realized. 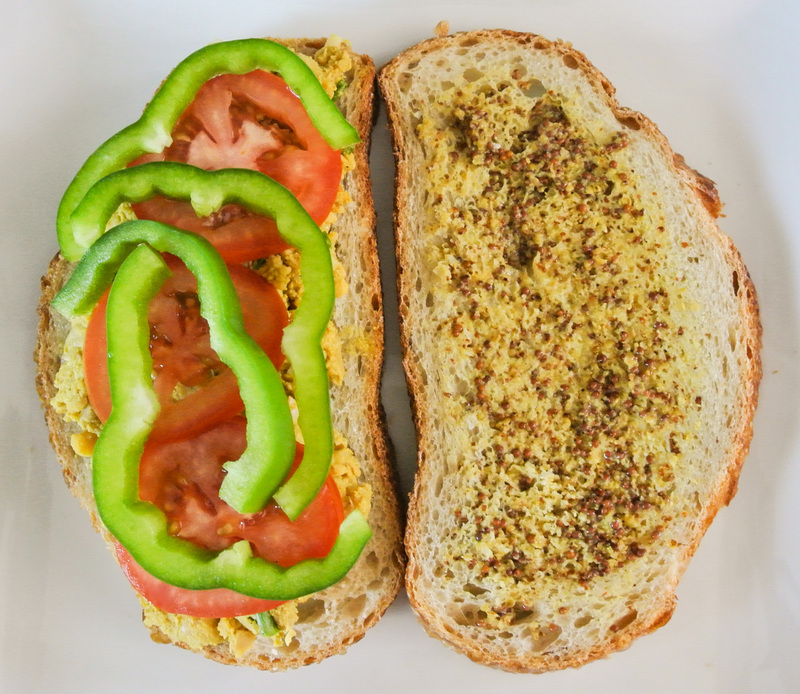 I love to eat tahini (made from sesame seeds) on sandwiches and peanut butter on apple slices. So, I’ve been using seed and nut butters in a dressing and dip capacity for quite a while, and you probably have, too. When it comes to more delicate applications like salads, however, a thick peanut butter alone just won’t cut it in the dressing department. Prior to becoming an honorary thug, I attempted to make creamy salad dressing in a number of ways, from thickening plant milk with chia seeds to puréeing silken tofu. While these methods have afforded me some success, the resulting dressings were no match for the tahini-based dressing in the thugs’ spiced chickpea recipe. As I do with just about any recipe I come across, I played around and made the dressing my own and thus, a new Basic Formula was born. Yikes, seed and nut butters are fattening! Yes, but remember, fat is ok in moderation…and if it doesn’t come from animals. 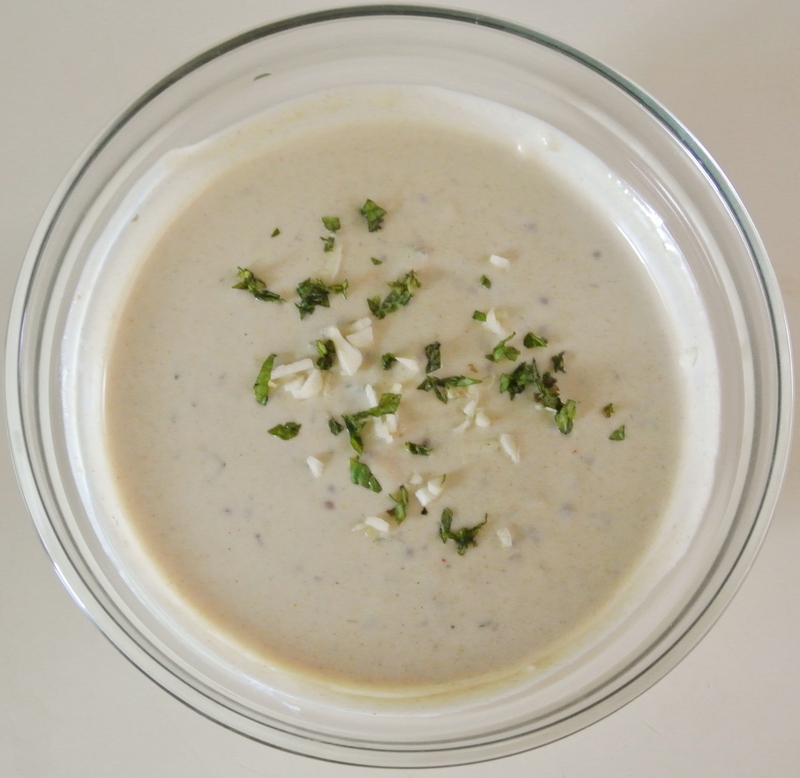 If you are going to opt for ranch dressing, for instance, think of it this way: You are also opting for cholesterol and potentially, hormones from the animal products. Seeds and nuts are cholesterol-free fats that do not contain hormones and do contain tons of protein and other nutrients. Also, when I shared my chocolate peanut butter banana smoothie recipe with you, I explained that seeds are nuts are one of the only sources of fat in my diet, so a little here and there is not going to hurt me (or you). Don’t forget to purchase, whenever possible, seed and nut butters than contain ONLY seeds and nuts. Many jarred butters contain unnecessary added salts, oils, and sugars. If I deem them necessary, I would rather add these ingredients to a homemade dressing so that I can control the quality and quantity. Finally, I consider mustard an acid, even though it is technically derived from seeds and processed with acid (vinegar). The acidic, sometimes bitter taste reminds me of the sensation of consuming a purer acid like citrus juice or straight vinegar. 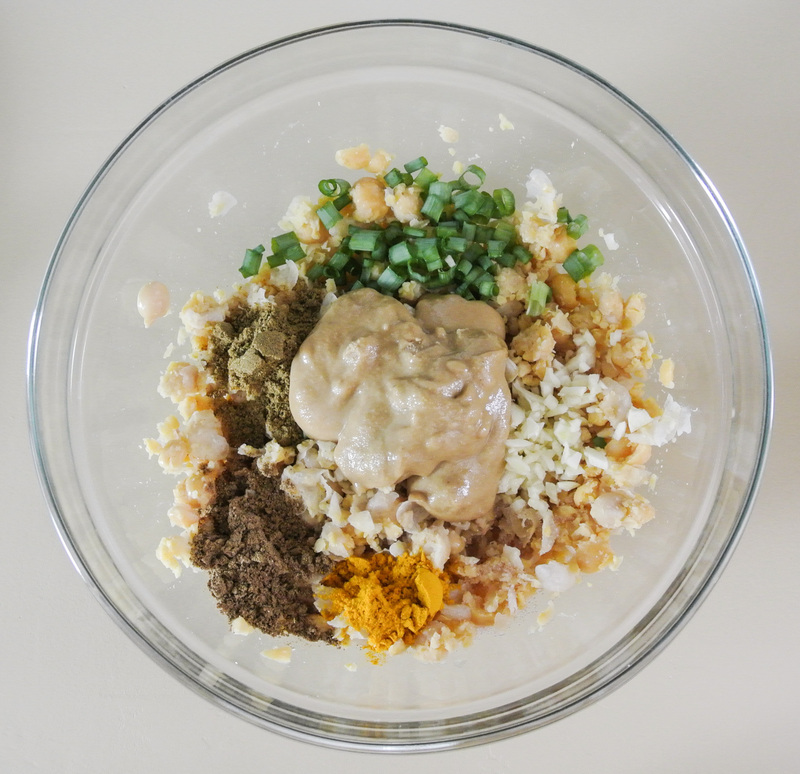 If you include mustard in your dressing, seek out a stone ground or whole grain variety. Mustard seeds are an excellent source of selenium (just like brown rice…see my whole grain salad recipe) and Omega-3 fatty acids. Below is my new formula and an application inspired by the tahini dressing that gave way to my latest culinary brainchild. Satisfy your craving for a rich, creamy dressing or dip by turning to seeds and nuts rather than cows and goats. Enjoy! 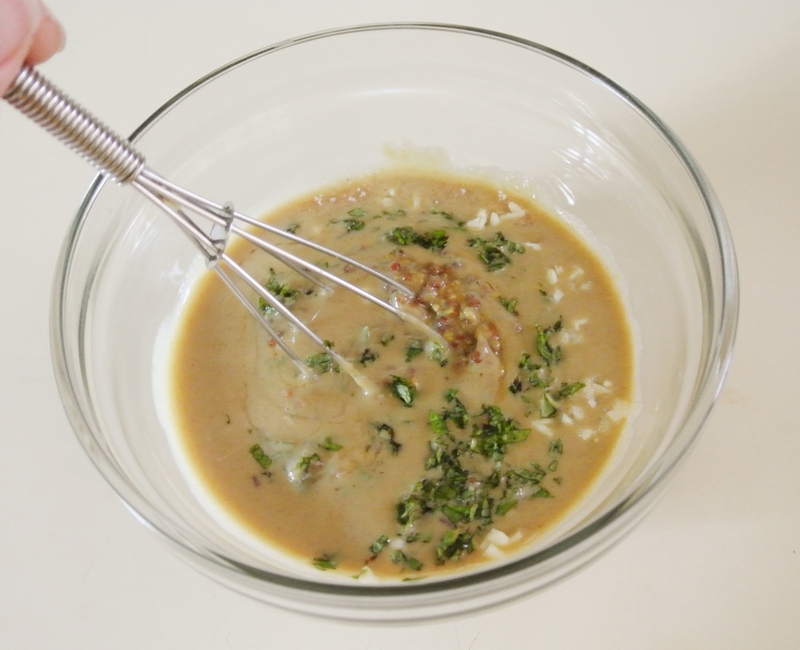 ¼ cup seed or nut butter –> I’m using tahini. 2 ½ tbsp acid (citrus juice, vinegar, mustard, or a combination) –> I’m using 1 tbsp stone ground mustard and 1 ½ tbsp lemon juice. Thinning liquid as needed, depending on whether you’re going for a dressing or thick dip (ideas: veggie stock, water, or more acid) –> I’m using 3 tbsp water. Up to 2 tbsp raw garlic and/or fresh/dried herbs and/or spices (optional) –> I’m using one small clove minced raw garlic and I tsp finely chopped fresh sweet mint. ½-1 tsp sweetener (optional) –> I’m using ½ tsp 100% pure maple syrup. 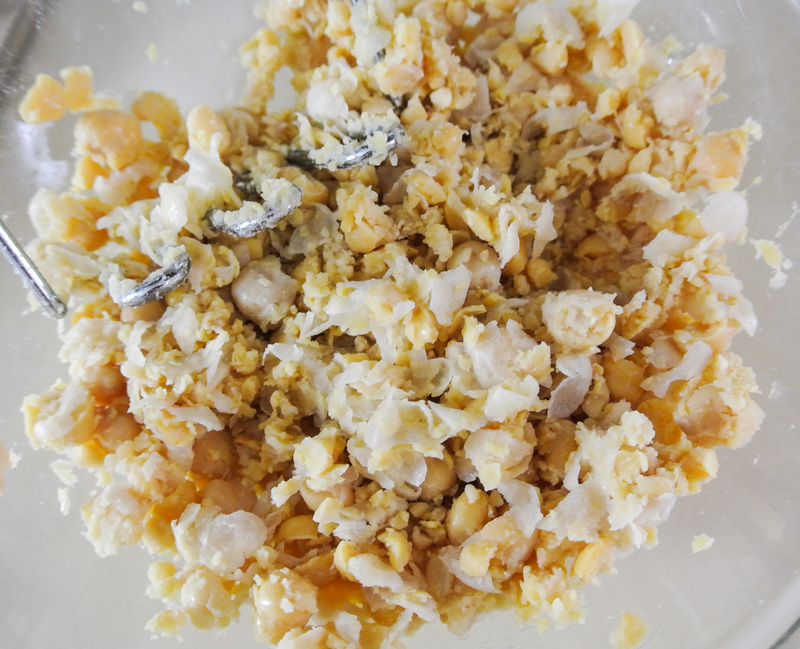 Salt and pepper to taste –> I’m using a pinch of pink Himalayan sea salt. Combine all ingredients with a small whisk. Add thinning liquid as needed to achieve desired consistency. Still not creamy enough for you? 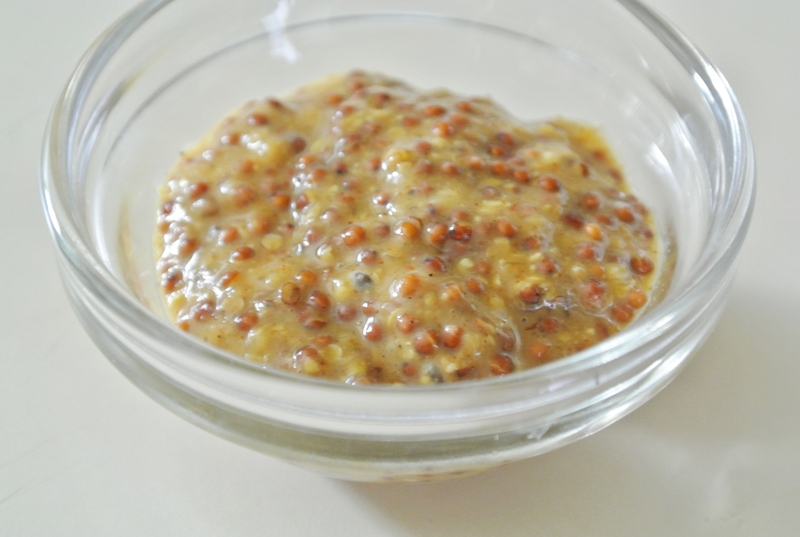 Run the whole mixture through a food processor or blender (I enjoy the texture of the mustard seeds, so I am leaving my dressing as is after whisking). Drizzle over salad, spread on bread, pita, or wrap, or use for dipping. You are seriously going to LOVE this dressing! Ranch…what’s that? !